Argo Ventures is an independent corporate venture builder with focus on digital platforms and B2B solutions. Our mission is to create equity value for entrepreneurs and investors. As the venture building unit of the Argo Venture Studio we are part of an ecosystem for entrepreneurial ideas, talents, spirit, and solutions. Engaging in company building and investment, Argo brings entrepreneurial visions to life and solves entrepreneurial solutions. Argo consolidates, structures and manages experiences and best practices based on >20 years‘ entrepreneurial experience. In its three operational entities Argo Ventures, Argo Advisory, and Argo Capital, it matches this experience with innovative methods and high talent of the new economy. Gate5 was a pioneer in the field of mapping and location based services for mobile devices. The Berlin based startup was soon going to turn out as one of the city’s startup scene’s biggest successes to date. For almost 15 years, the animated series SimsalaGrimm has brought joy to children all over the world. The episodes tell in very refreshing and child-appropriate manner the tales by the Grimm brothers and other old European fairy tales. After the successful premiere on 29 January 2004, Greenlight Media’s nature documentary Deep Blue took the German audience by storm. Soon, Greenlight Media accounted for >50% of the German cinema’s total volume. The Berlin Atlantic Capital Group (BAC) is an international investment house. 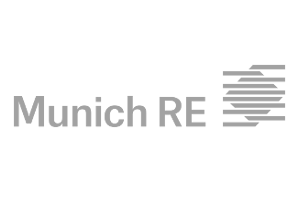 The German-American company is focused on the development and distribution of longterm, growth-oriented alternative investments. Gate5’s exit in 2006 is one of the biggest deals of the Berlin startup scene to date. Gate5, later knows as HERE, was then acquired by a German automotive alliance. HERE is one of the major players in the field of location intelligence. The fintech startup MKPayment, the plugin Kikin and the insurance company SLG Atlanta were founded in 2006, once more showcasing Argo Ventures' wide industry coverage. Shot at over 200 locations worldwide, BBC Worldwide and Greenlight Media produced a breathtaking portrait of planet Earth. With more than $130m in box office, Earth is one of the most successful nature documentaries ever. Only 3 years after its foundation in 2004, the Berlin Atlantic Capital Group joined the top 10 German emission houses. With more than $500m assets under management, BAC became a leading investment company and fund manager. From 2004 until 2008, a series of longevity equity investment funds with an aggregate volume of US$ 170 million was successfully structured and placed. Advisory to structuring and successfully closing a US$ 500 million debt facility with a major US bank to finance longevity and insurance product portfolios designed to exit on the ABS market. CIG Wireless develops, operates, and owns wireless and broadcast communication towers in the United States. Within 4 years after its foundation in 2007, CIG became one of the top 15 US tower companies. Initiated by Stefan Beiten, the Argonauts were formed – an international group of entrepreneurs and thought leaders manifesting human aliveness in the digital age. In addition to welcoming Sascha Grumbach and Stefan Söllner to the management, the Venture Studio was expanded by Argo Advisory and Argo Capital. 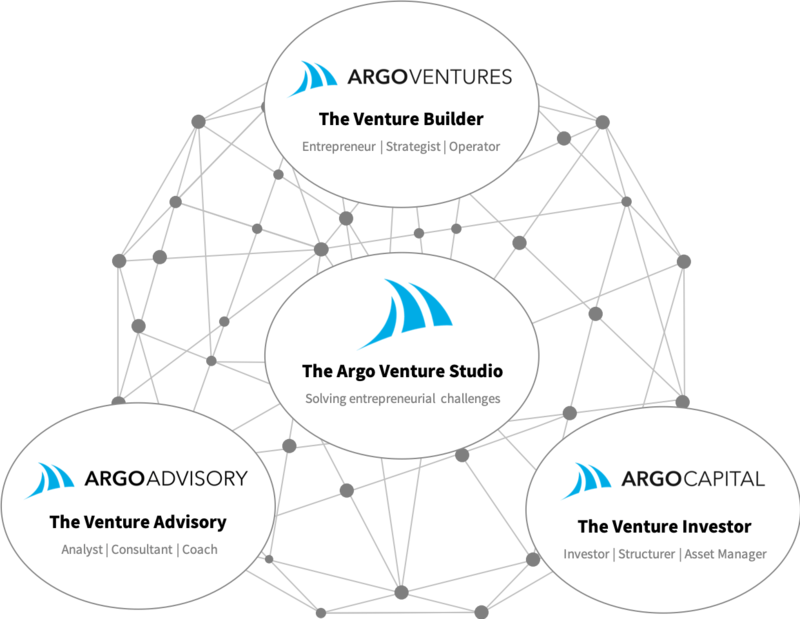 The two new entities took over Argo Ventures' consulting and investment activities. KARDEA is an e-health platform that analyzes vital data to provide individualized health tips. Working closely with nutrition experts, personal trainers and medical professionals, KARDEA translates complex data and medical knowledge into accessible information. In 2017, Argo Capital restructured a joint investment portfolio of two Family Offices with a volume of € 150 million and took over its asset management. 4ion builds powerful AI solutions for medium-sized and large enterprises that leverage challenging technologies like artificial intelligence, machine learning and predictive analytics. 2 years after its foundation, the venture advisory Argopreneurs celebrates 100 companies participating in their unique format of the Transformation Bootcamp, a 2-day event about digital transformation and cultural transformation. © Argopreneurs Management GmbH 2019. All rights reserved.